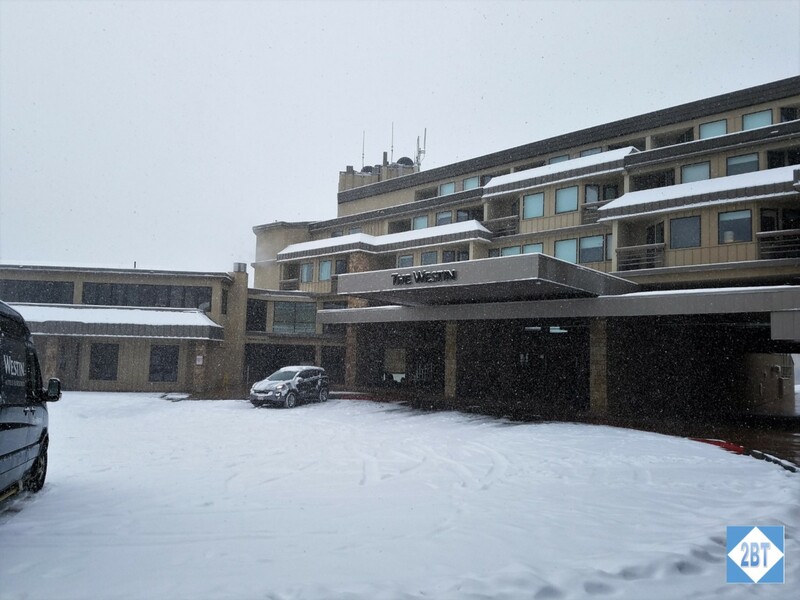 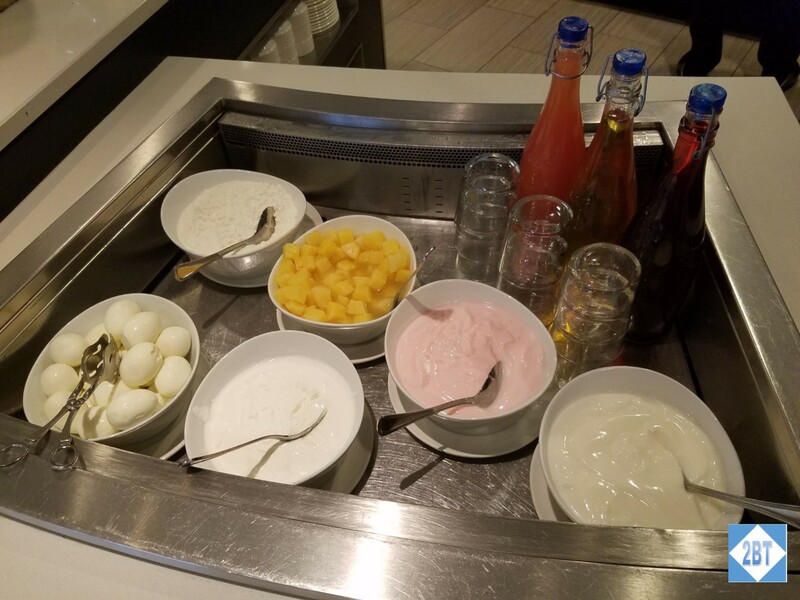 On Friday Gary of View From The Wing had a blog post stating that at a few select locations Hyatt is eliminating the free breakfast at some Hyatt Place/Hyatt House properties. 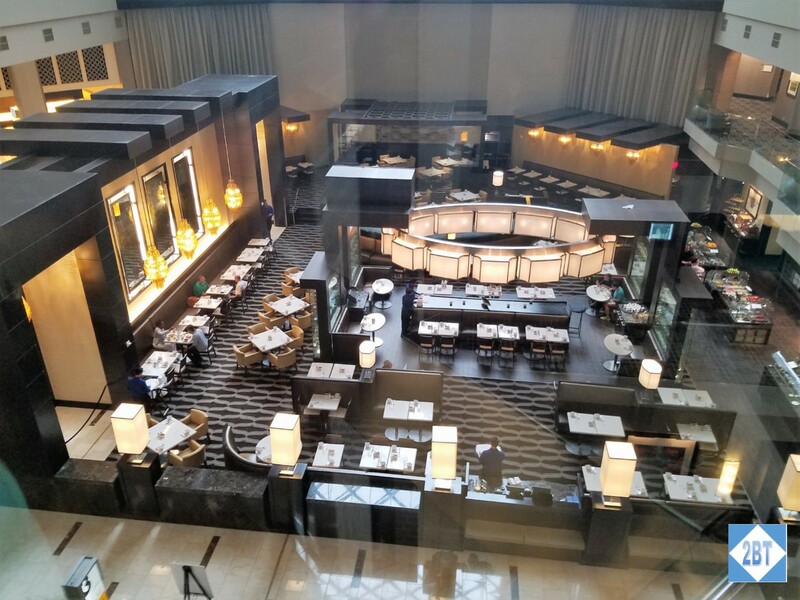 If you made your reservation for one of these locations before February 1st you’ll still get the breakfast regardless of your Hyatt status but if not, only those with Globalist status (Hyatt’s top tier) will get free breakfast. 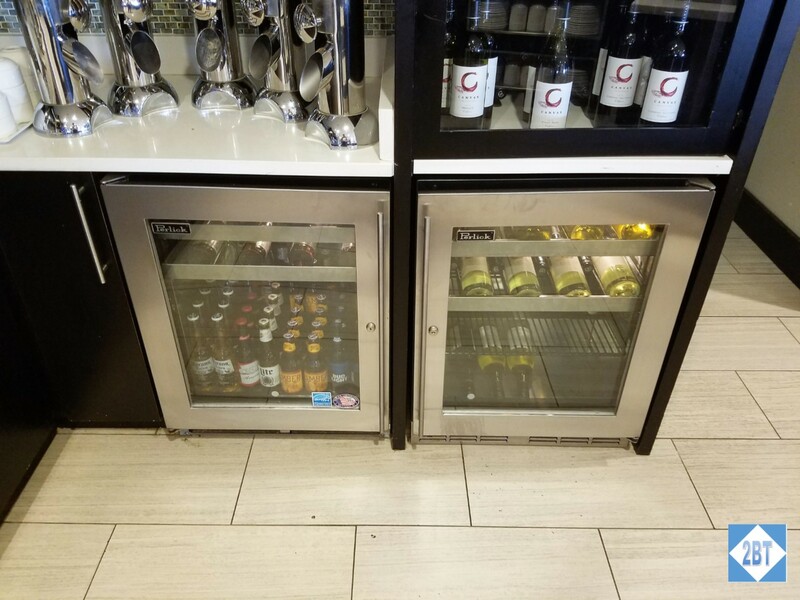 The rest of us will be charged $10 if we want to partake. 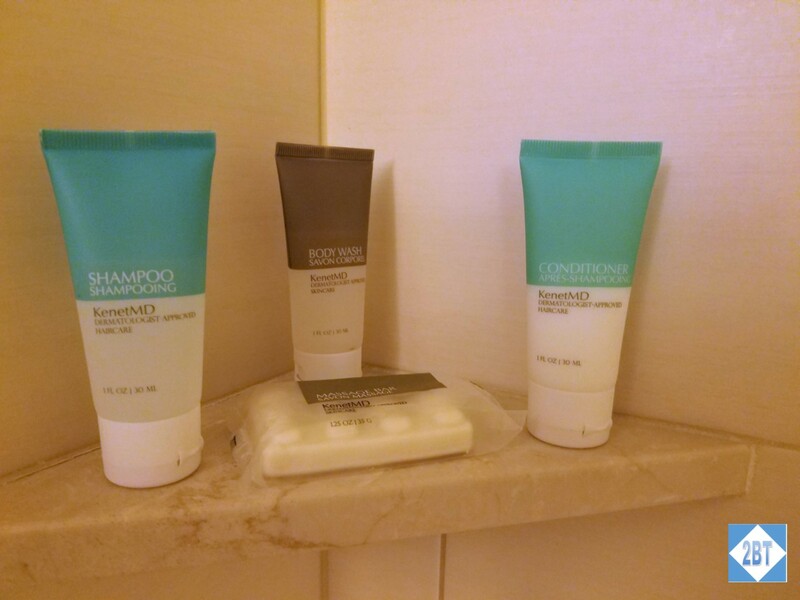 When I’m using points to stay at a Hyatt property I’m usually at a full-service hotel. 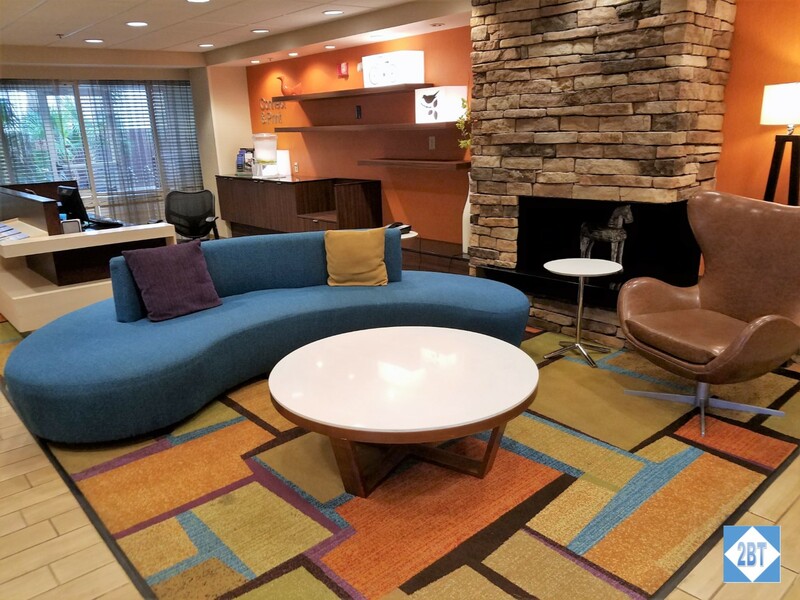 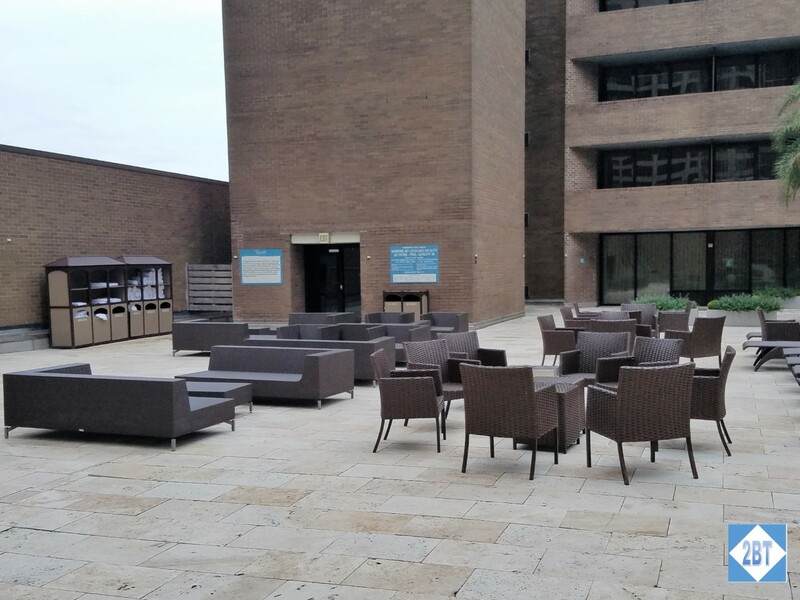 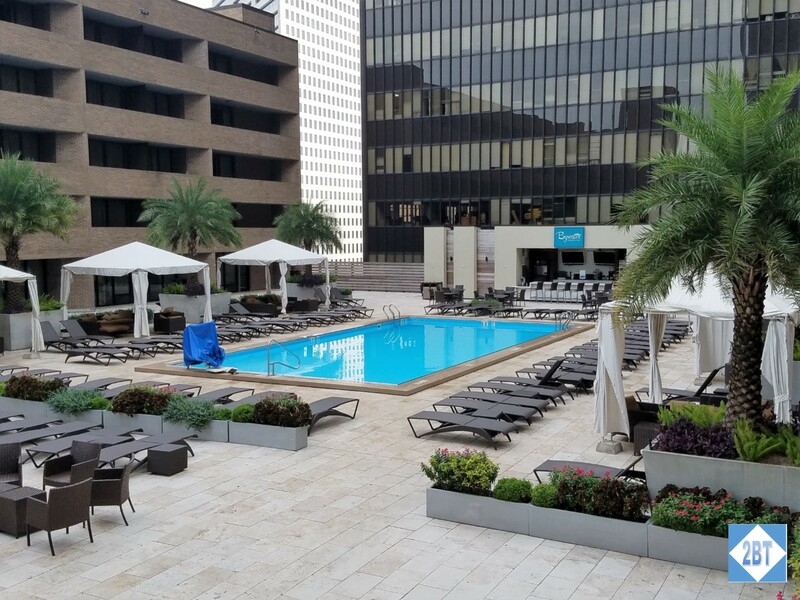 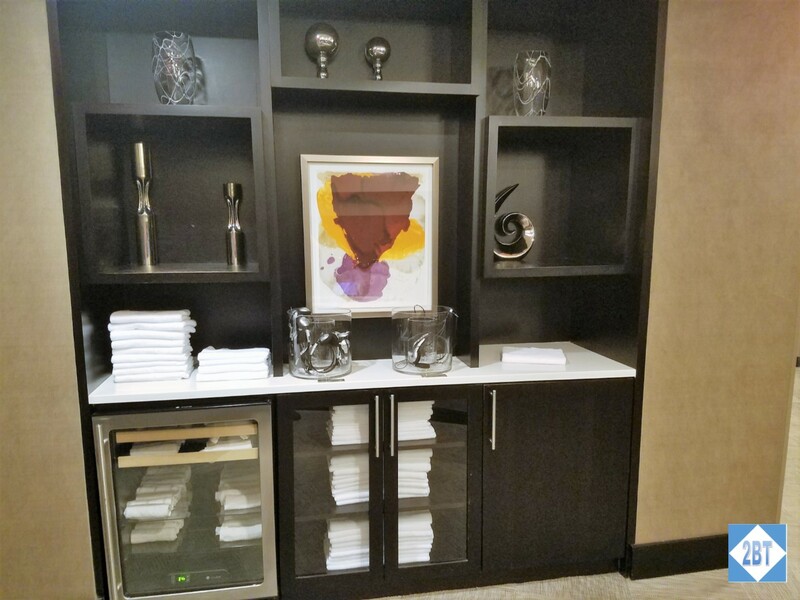 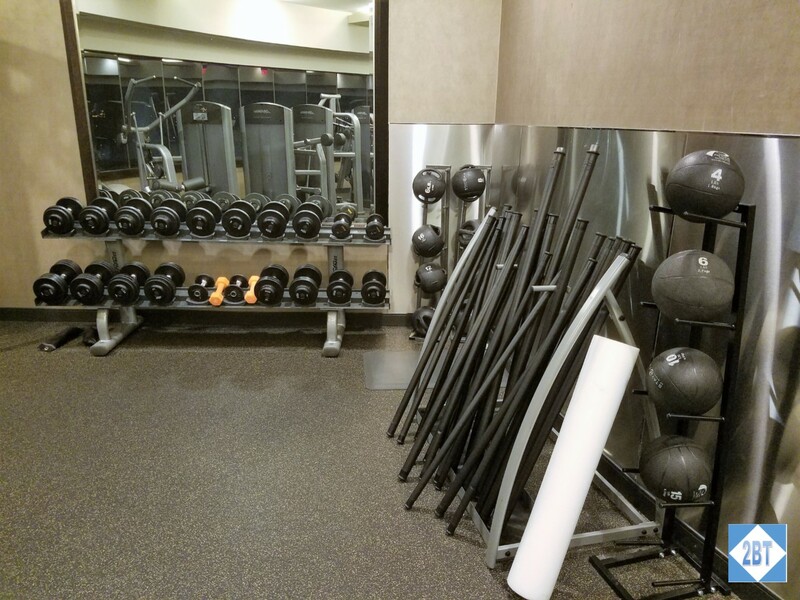 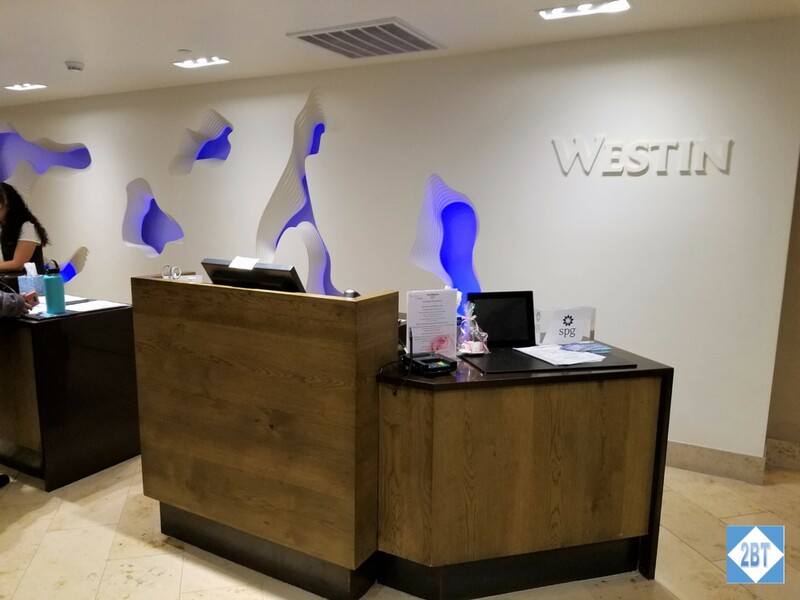 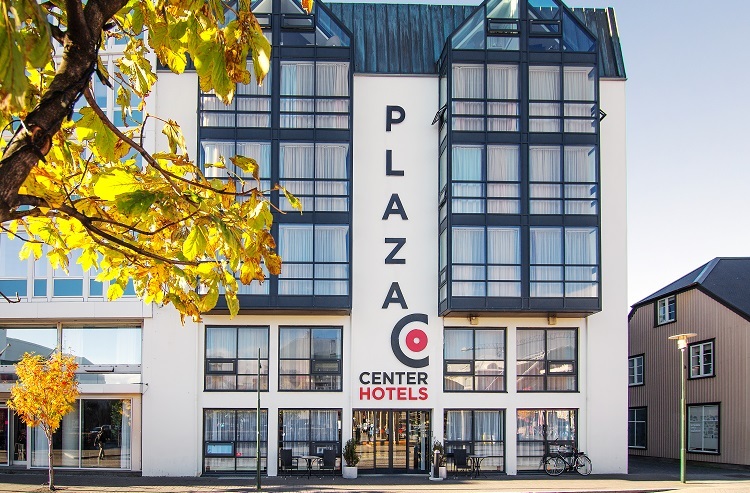 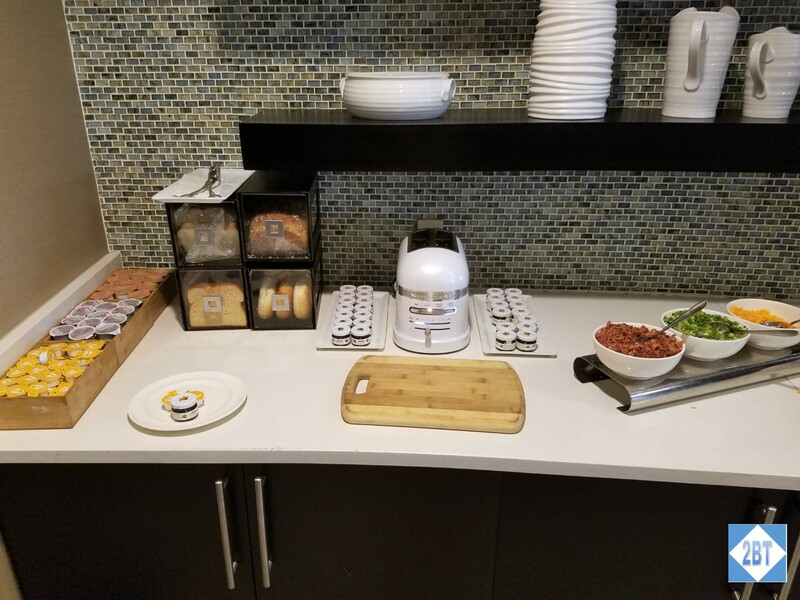 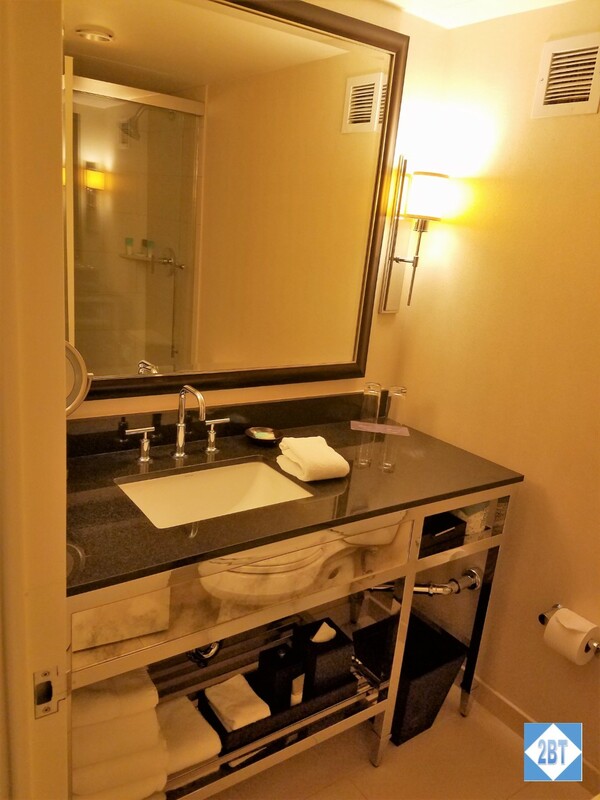 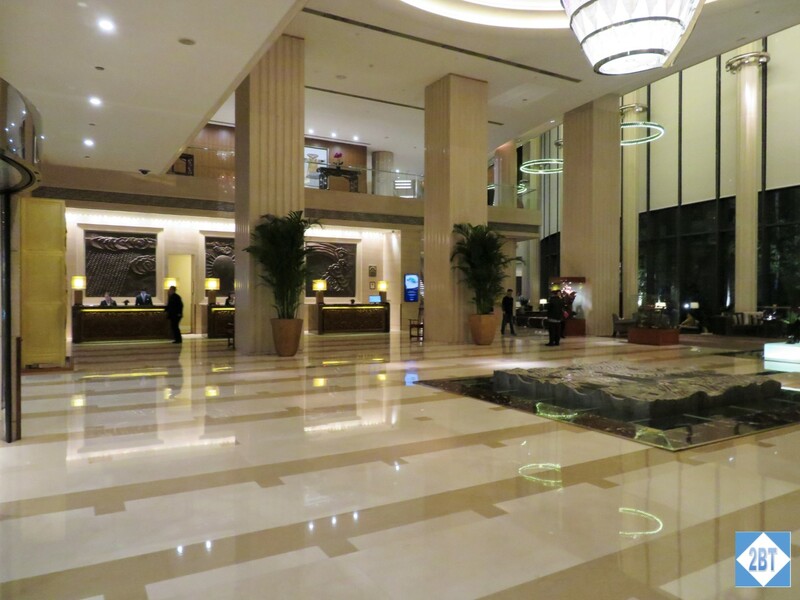 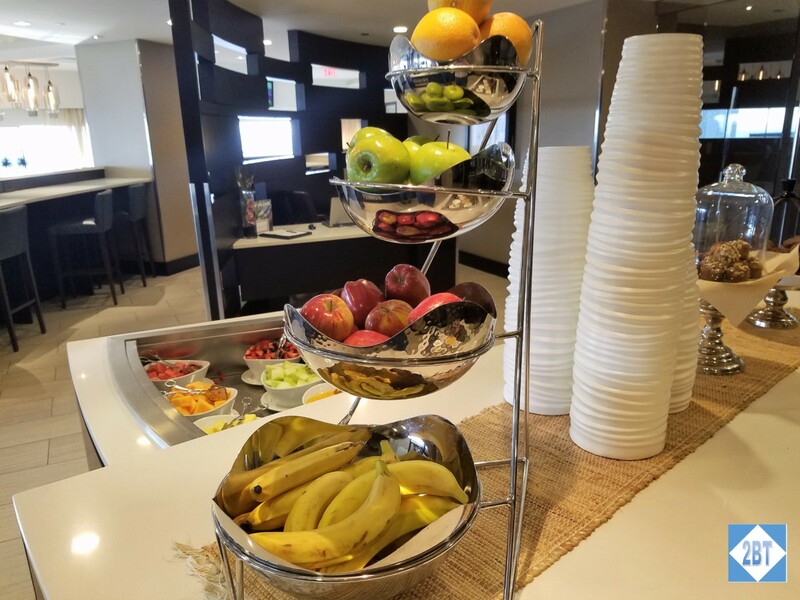 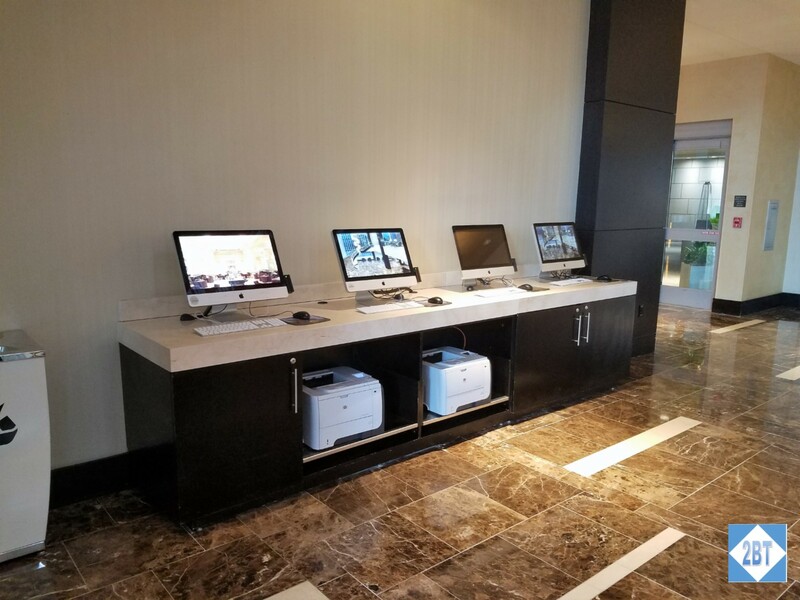 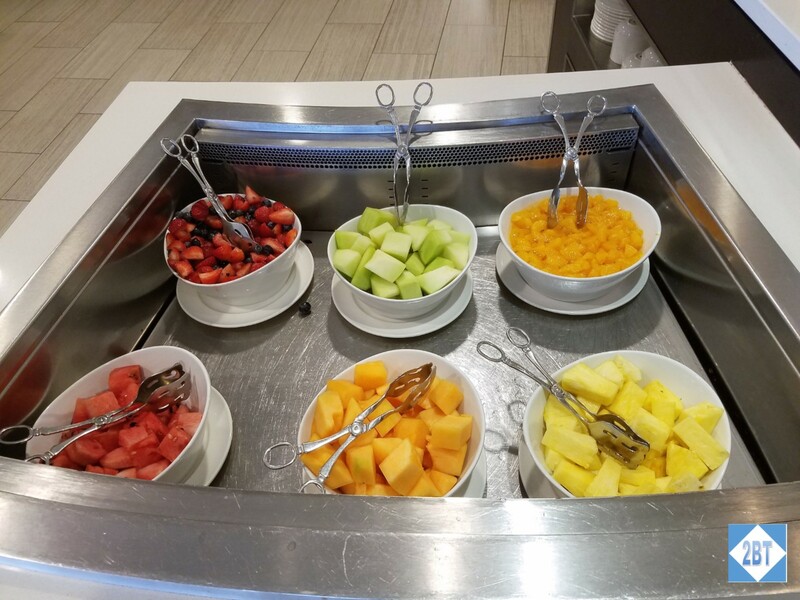 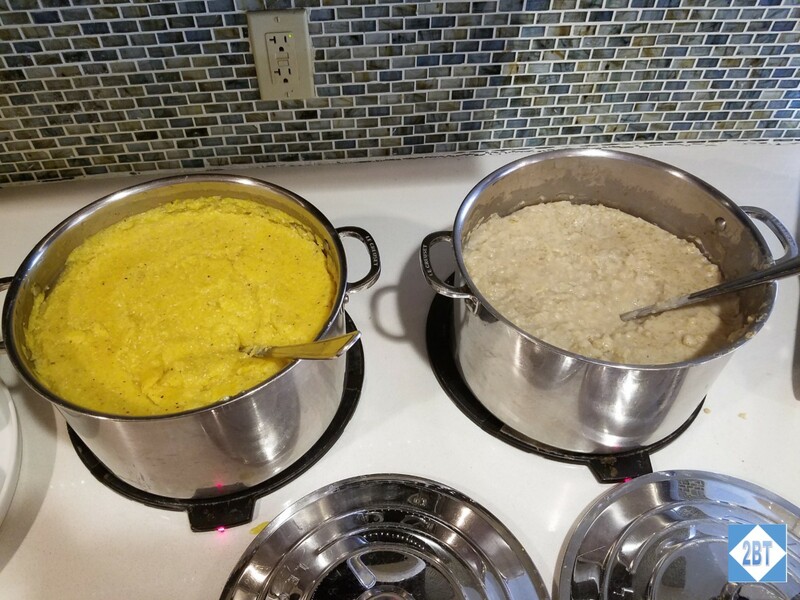 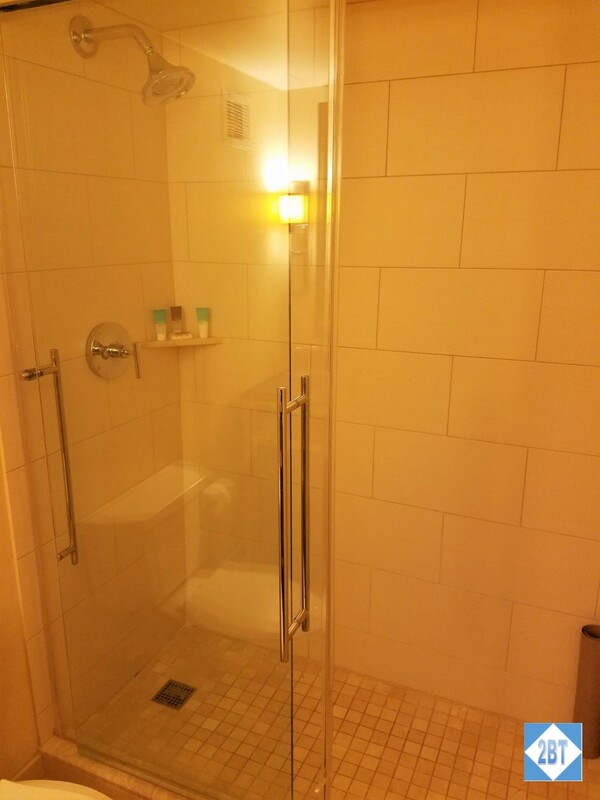 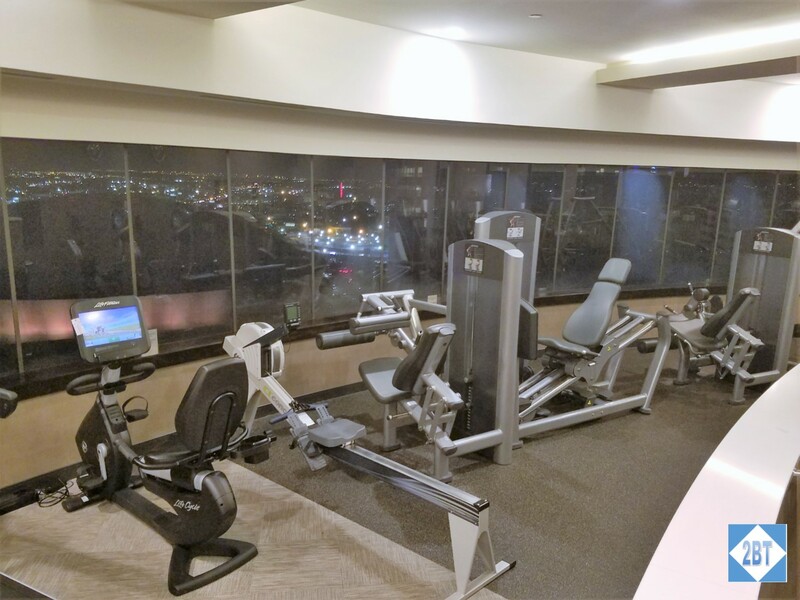 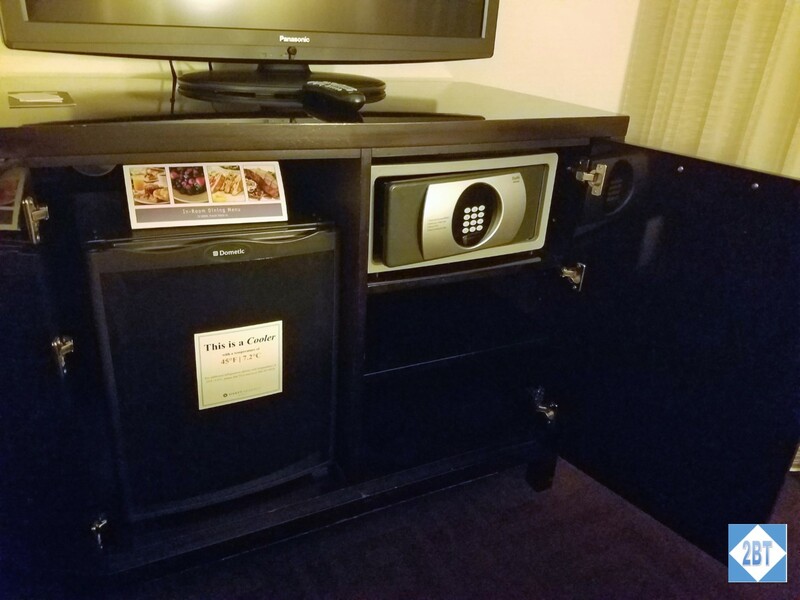 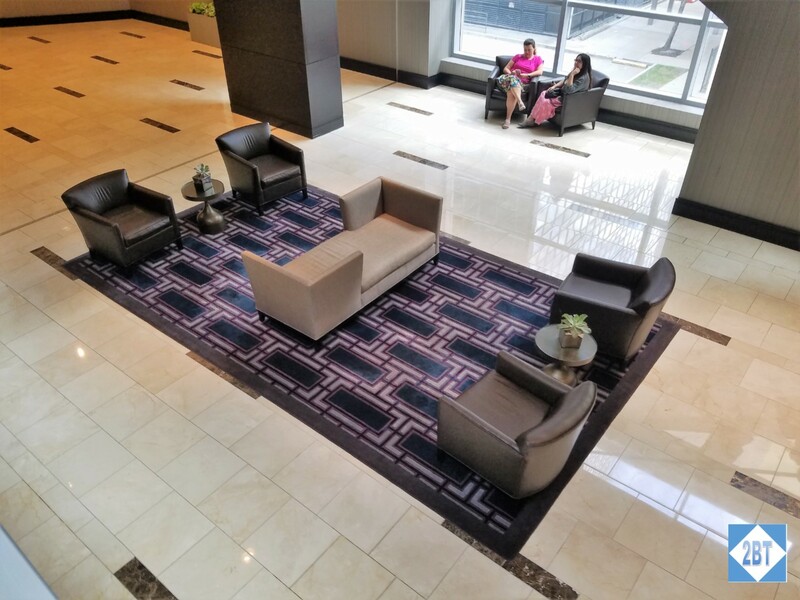 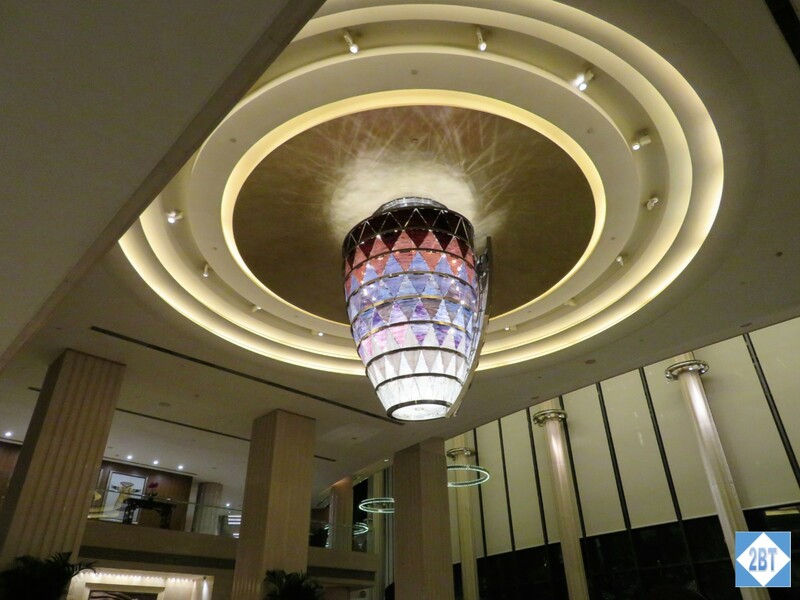 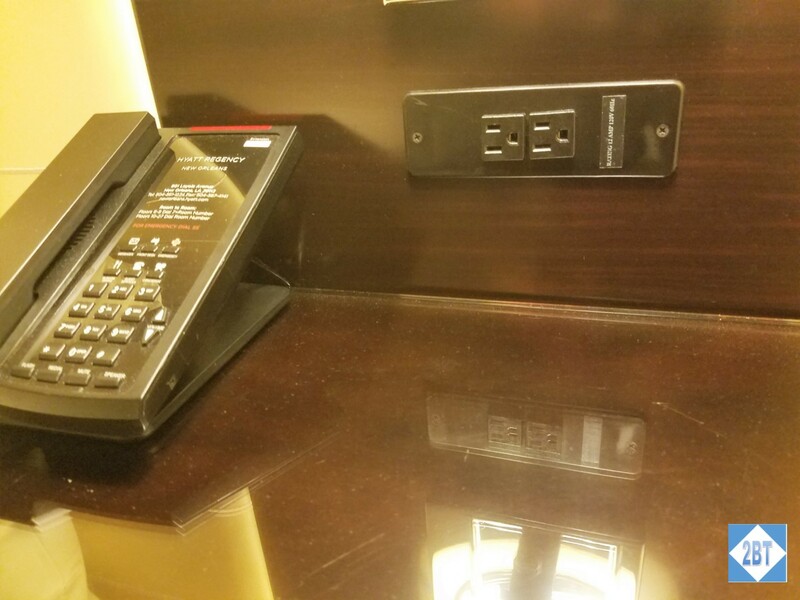 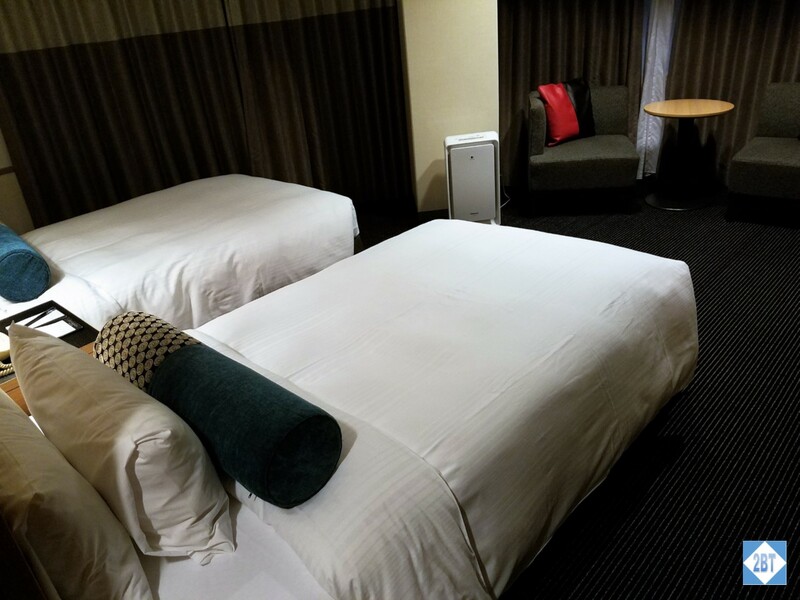 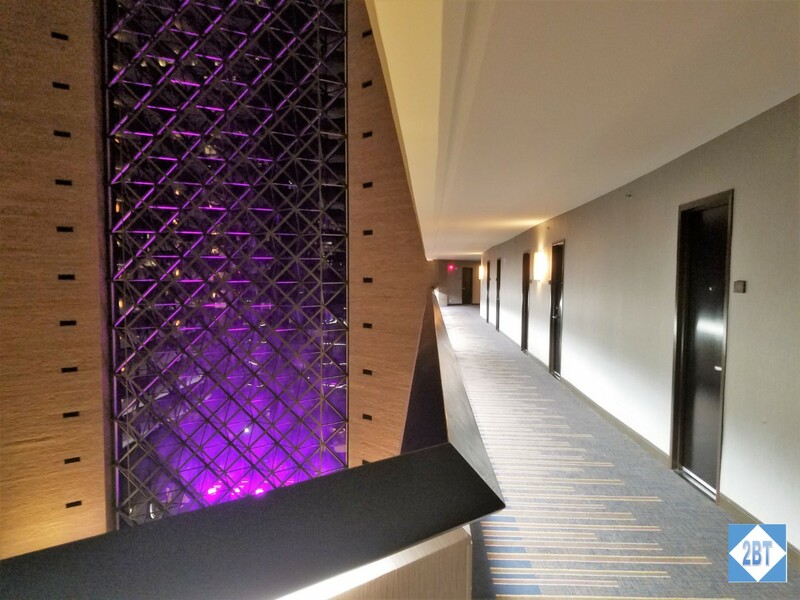 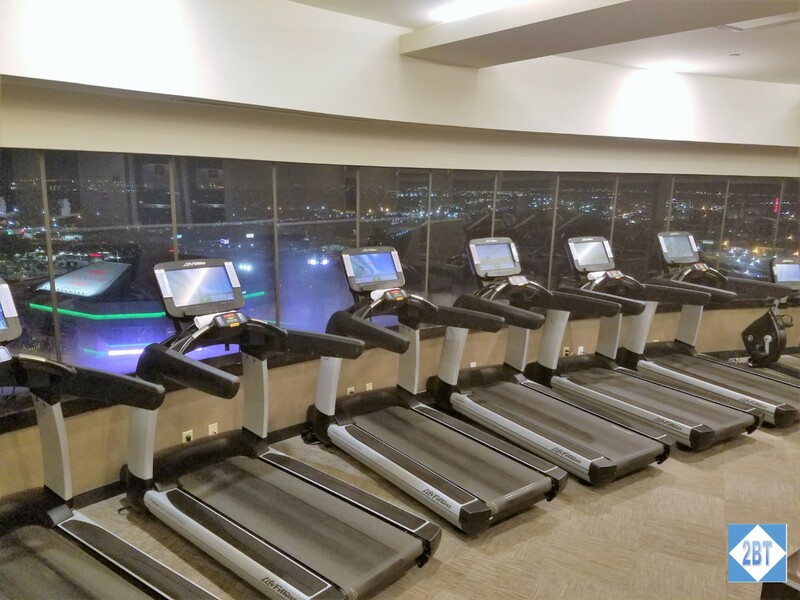 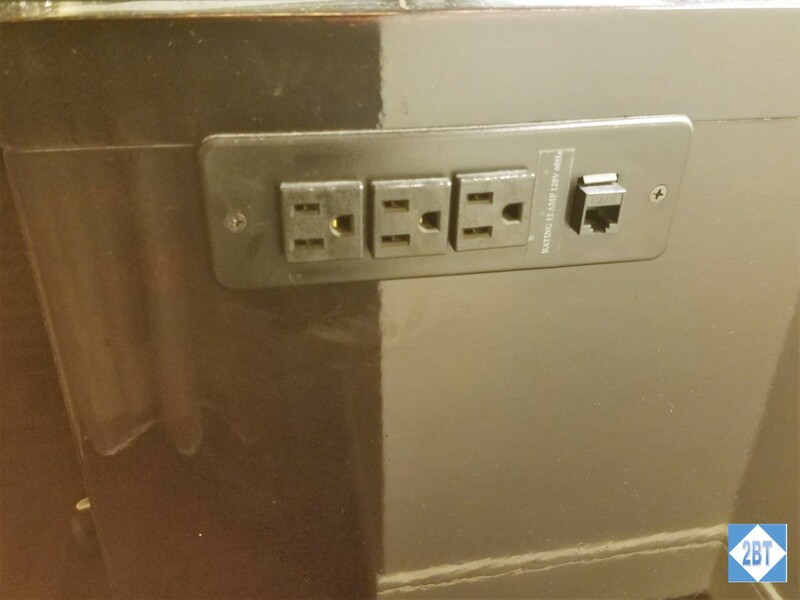 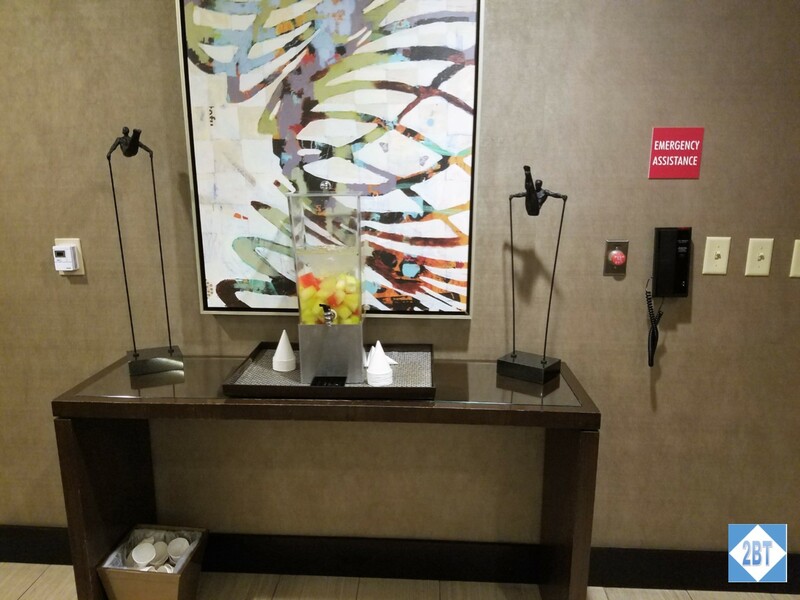 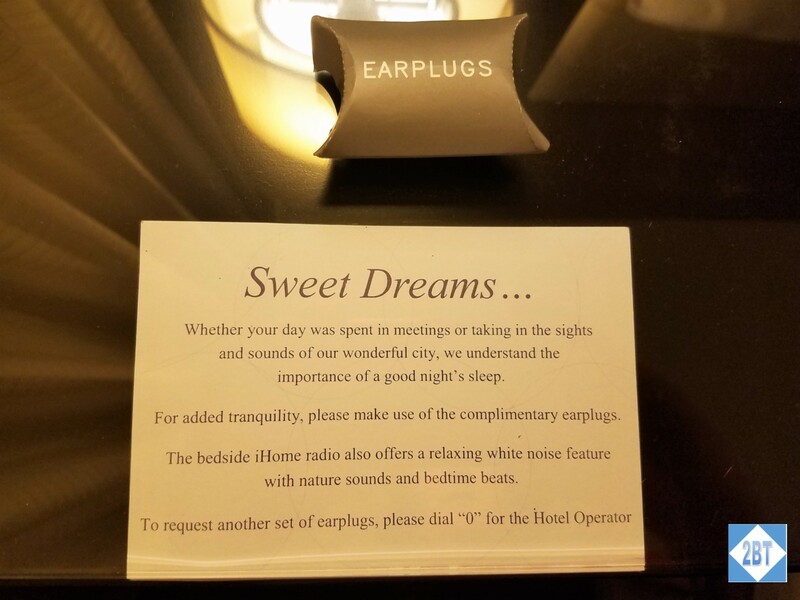 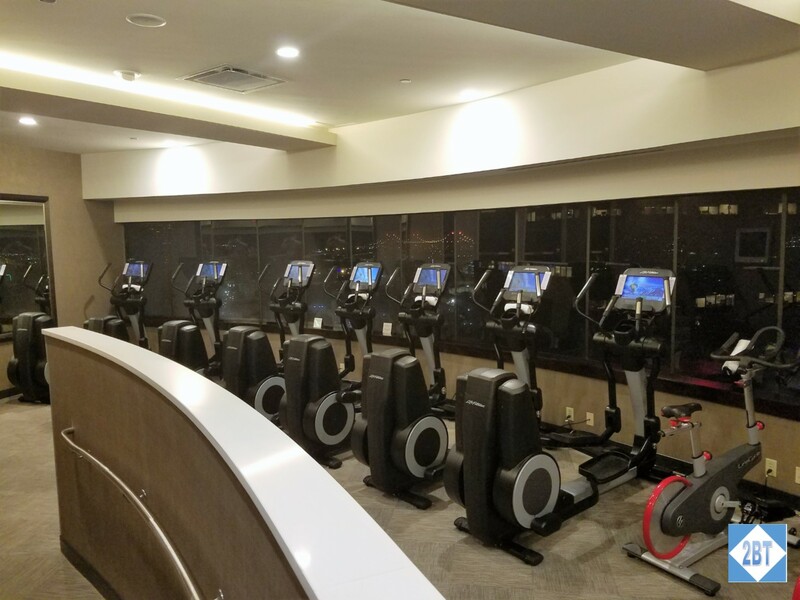 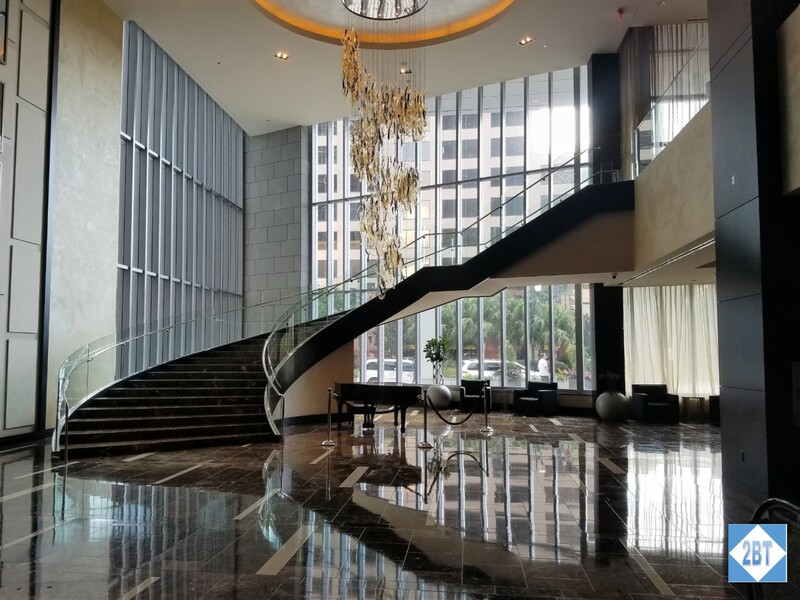 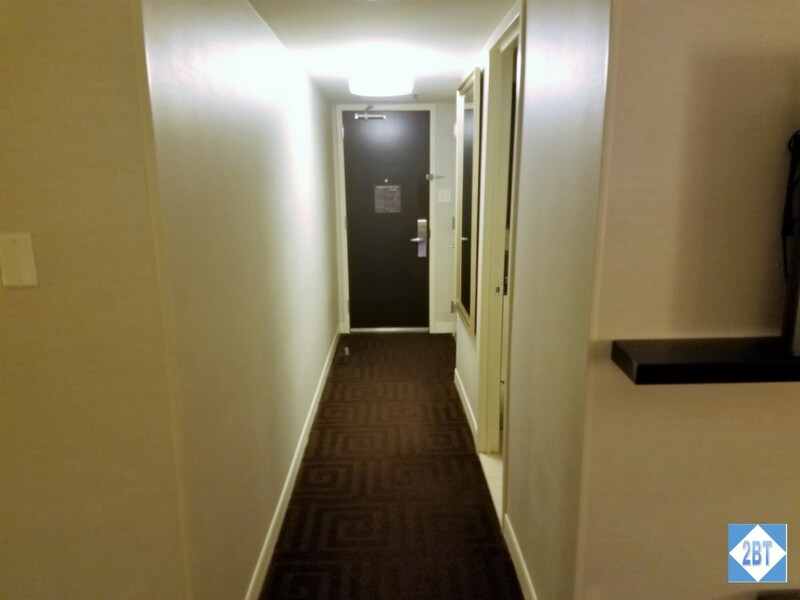 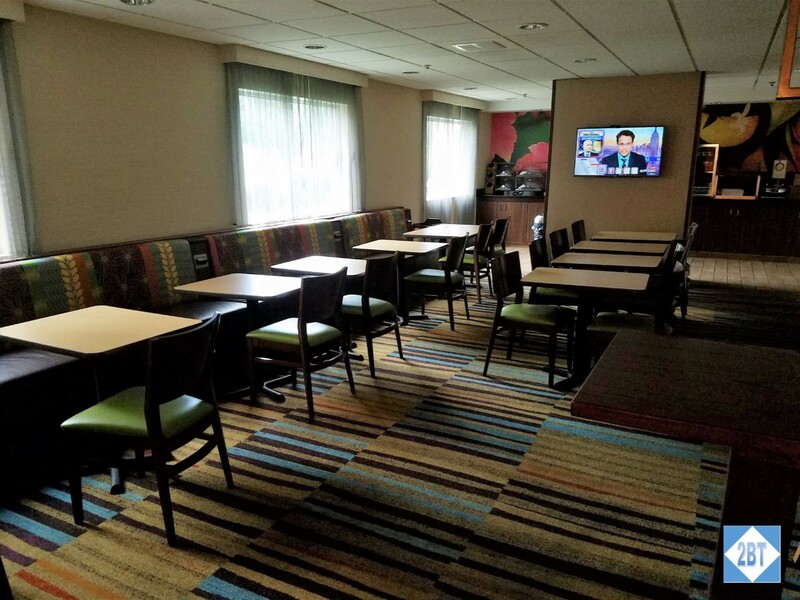 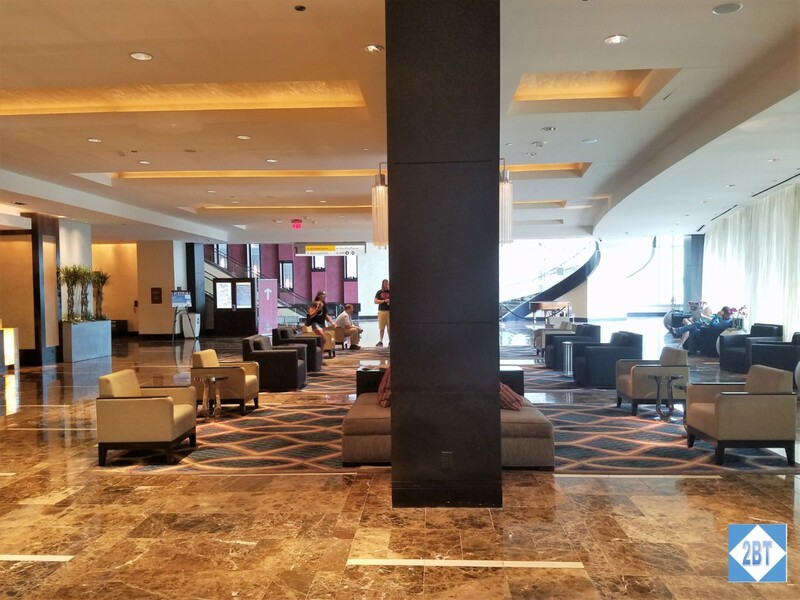 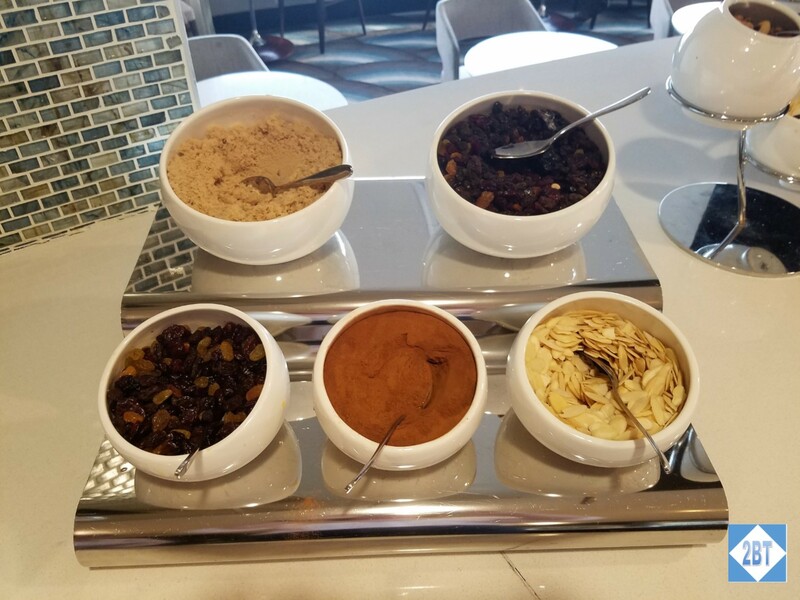 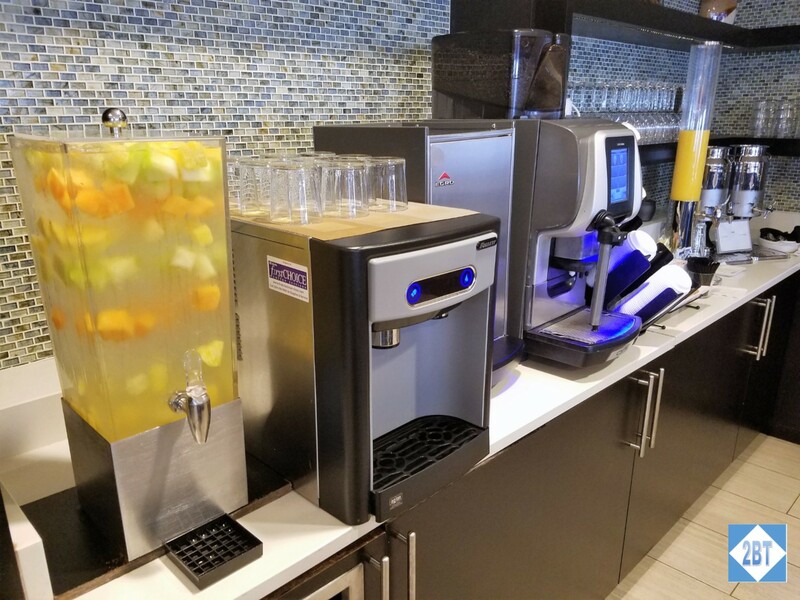 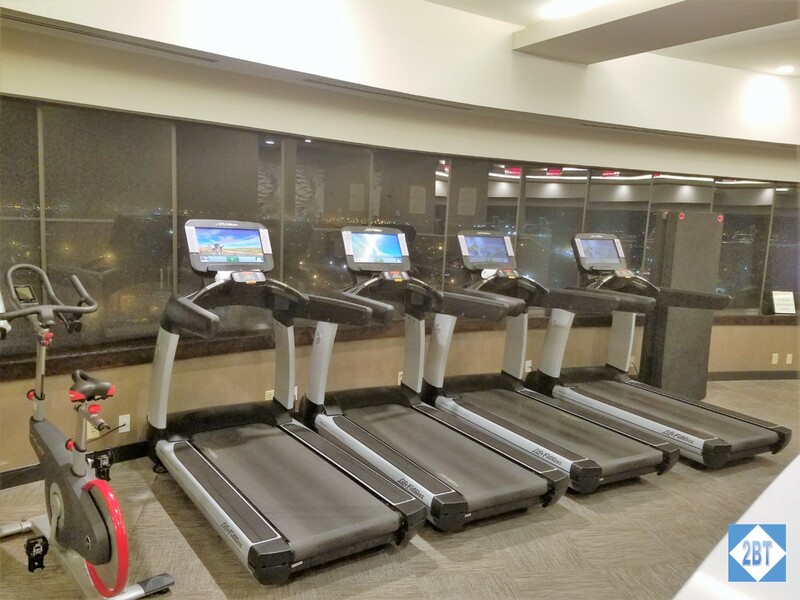 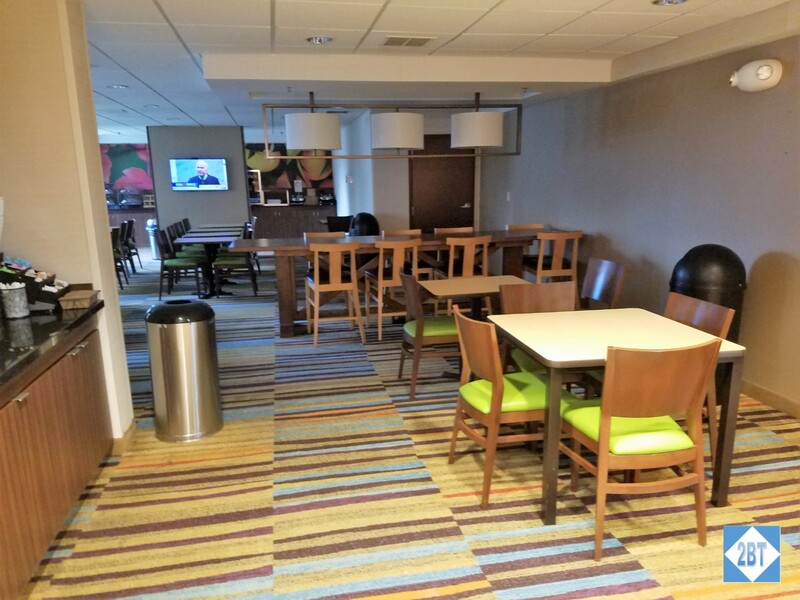 But when I’m paying cash – or using the free night voucher I get with my Chase Hyatt credit card – I’m often at a Hyatt Place or Hyatt House and one of the reasons is that these hotels have pretty good breakfast spreads. 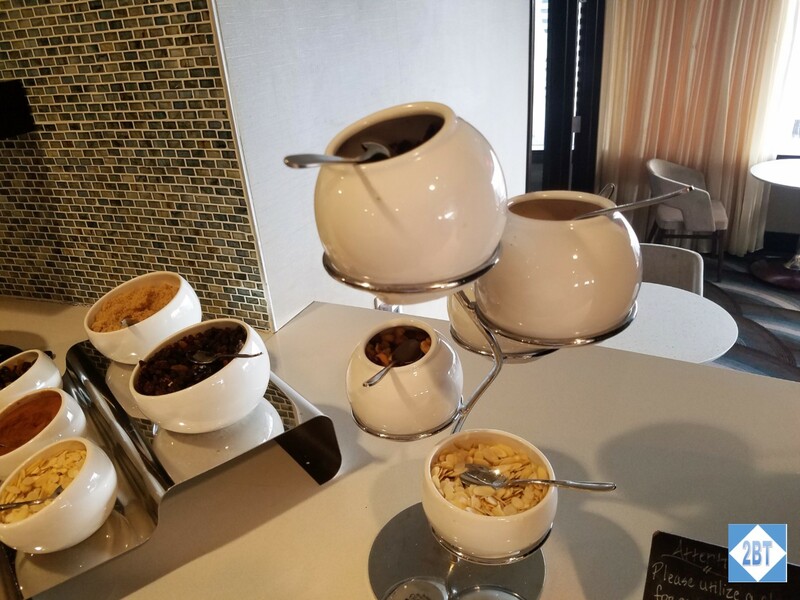 It’s not just cereal and pastries but there are several kinds of hot entrees and sometimes you can even have omlettes cooked to order. 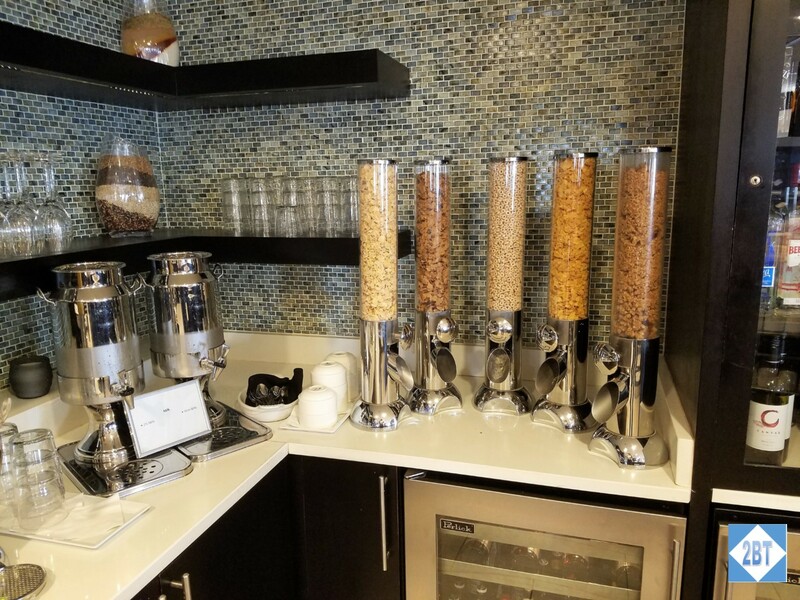 I’ve not yet seen a full list of properties where the breakfast is not included but I really hope the feedback on this change is overwhelmingly negative. 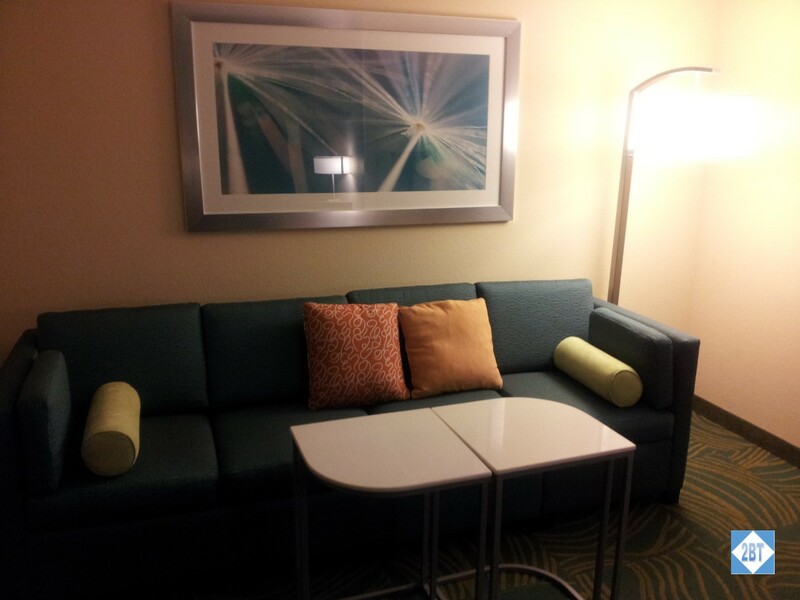 I love the larger rooms in Hyatt Places/Houses and how there’s a separate area with a sofa for lounging. 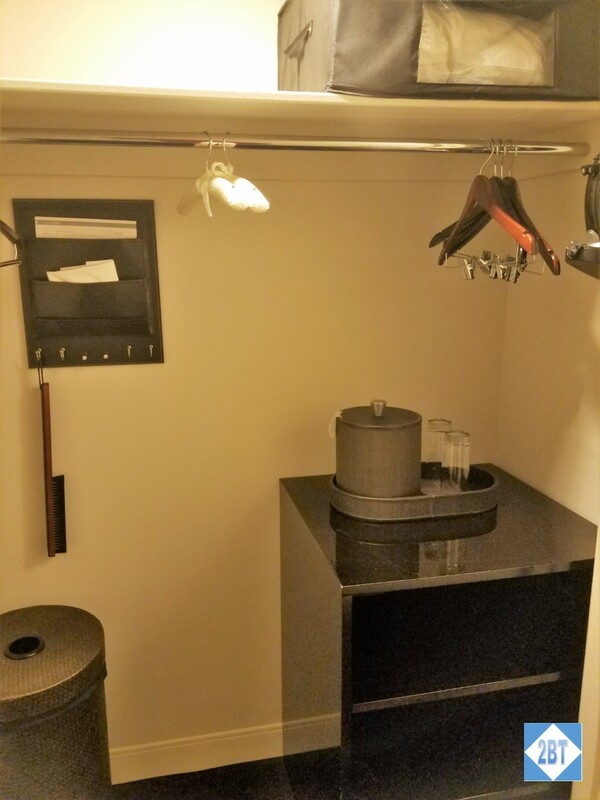 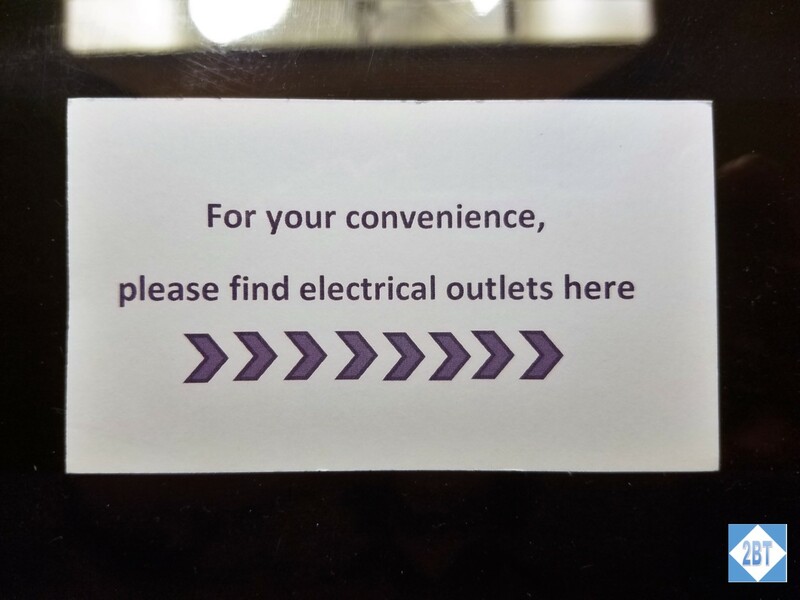 I actively look for these properties when traveling but if this change becomes permanent I will question whether I need to stay at Hyatts in the future or not. 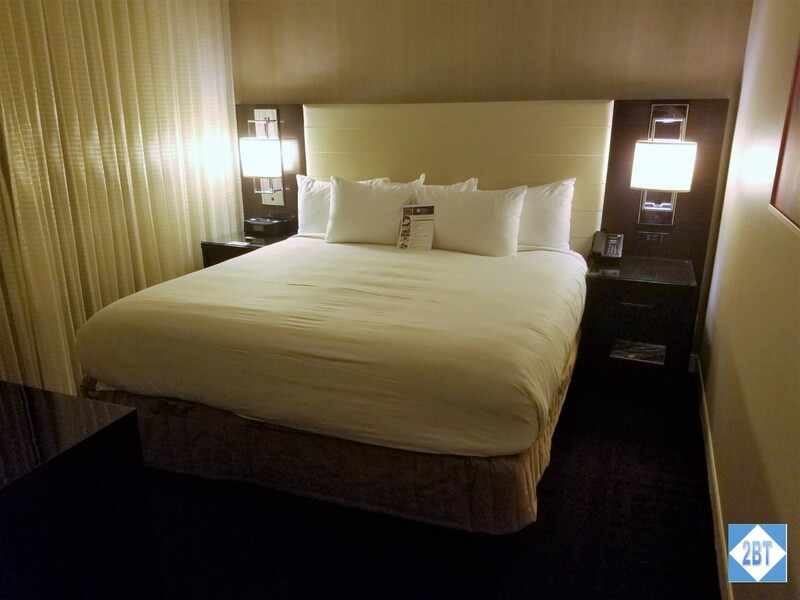 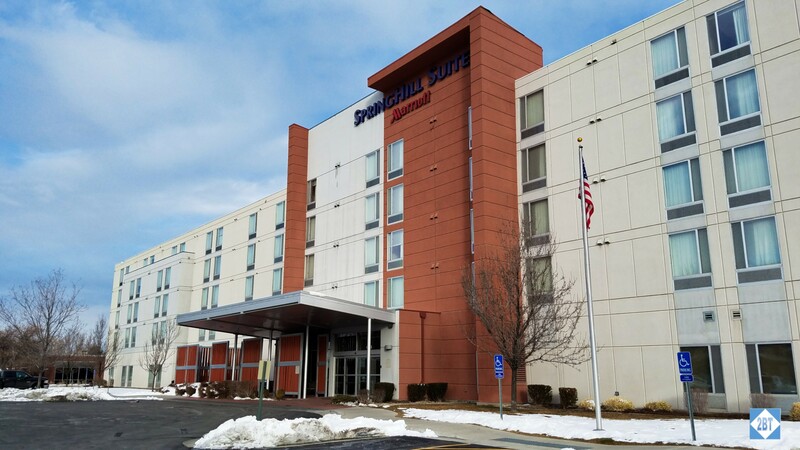 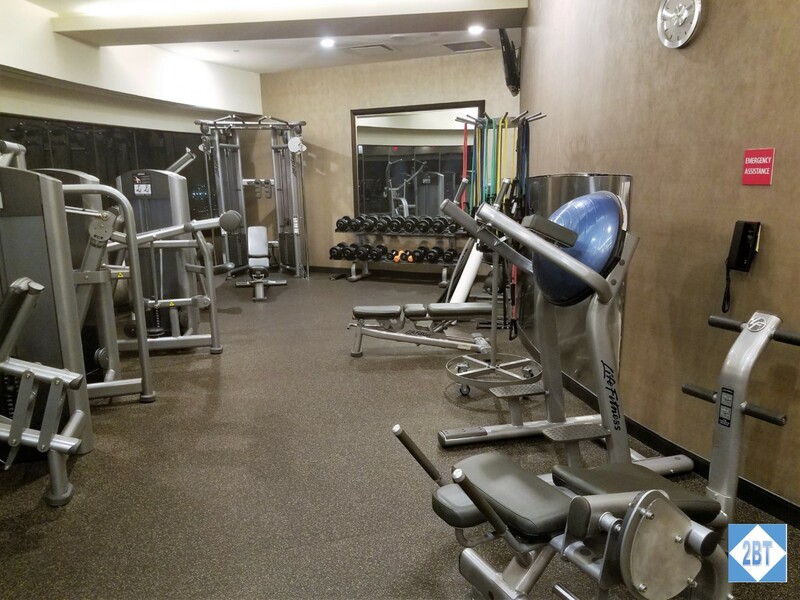 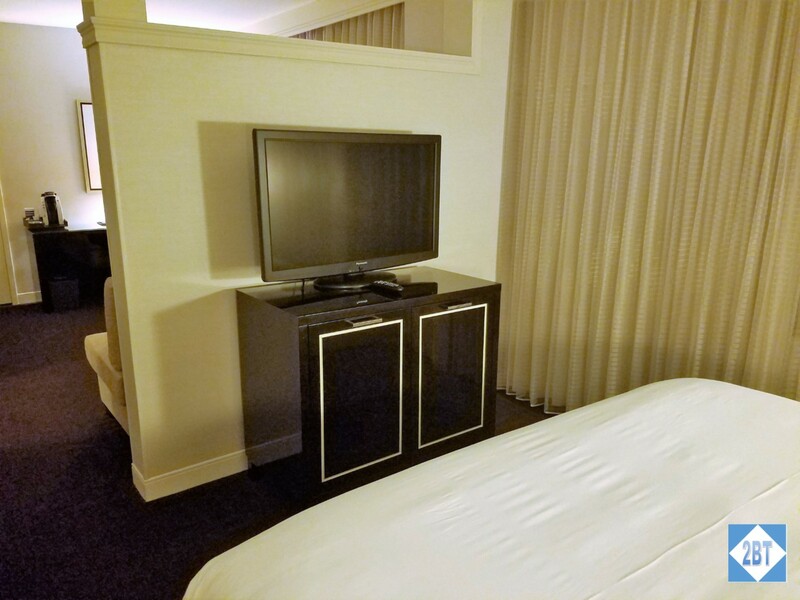 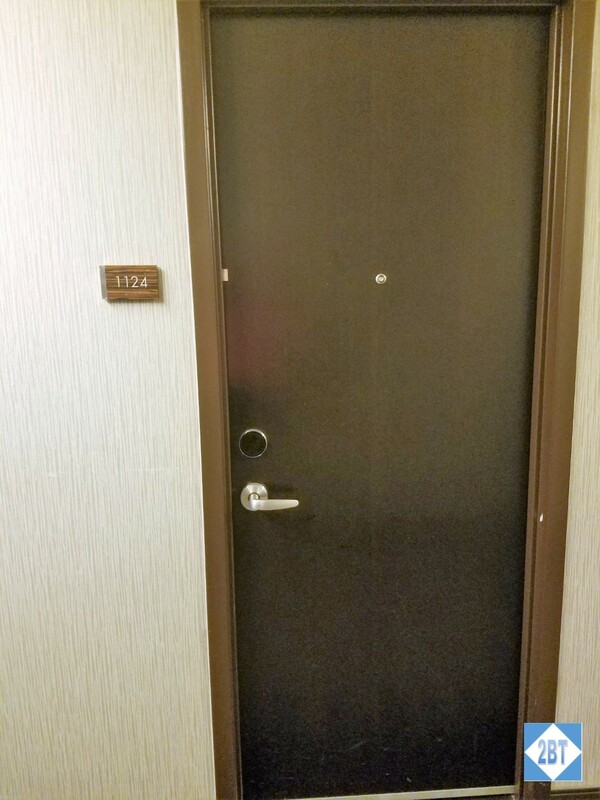 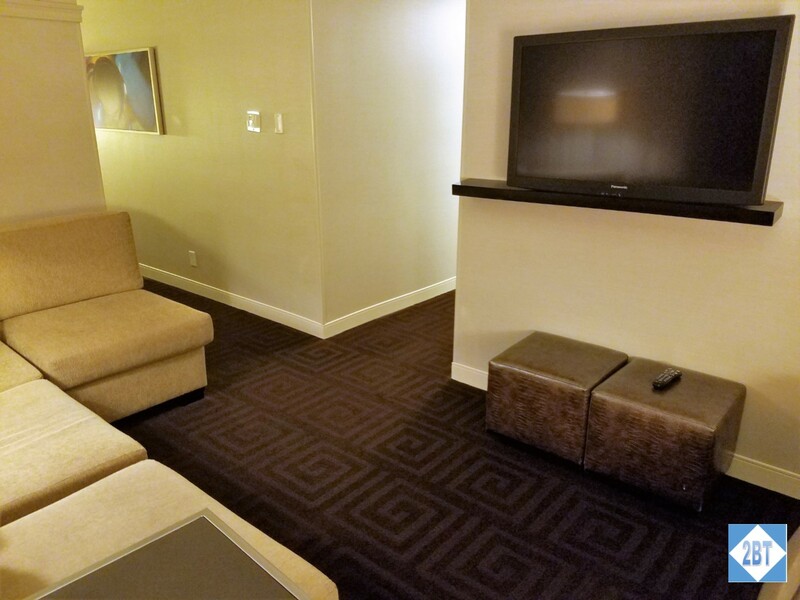 A friend and I were visiting another friend who lived in Pasadena, California and we had a free night certificate for a category 1-5 Marriott hotel so we selected the closest one, the SpringHill Suites in Arcadia, about 10 minutes away. 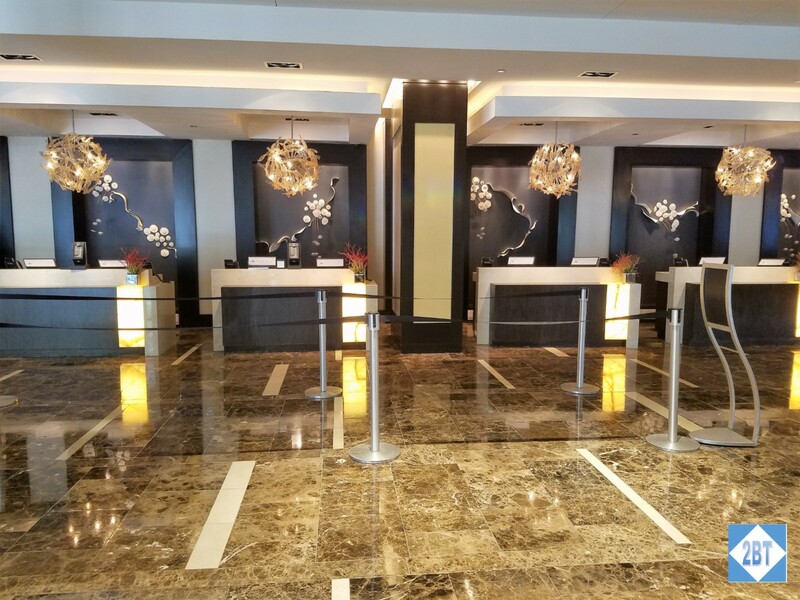 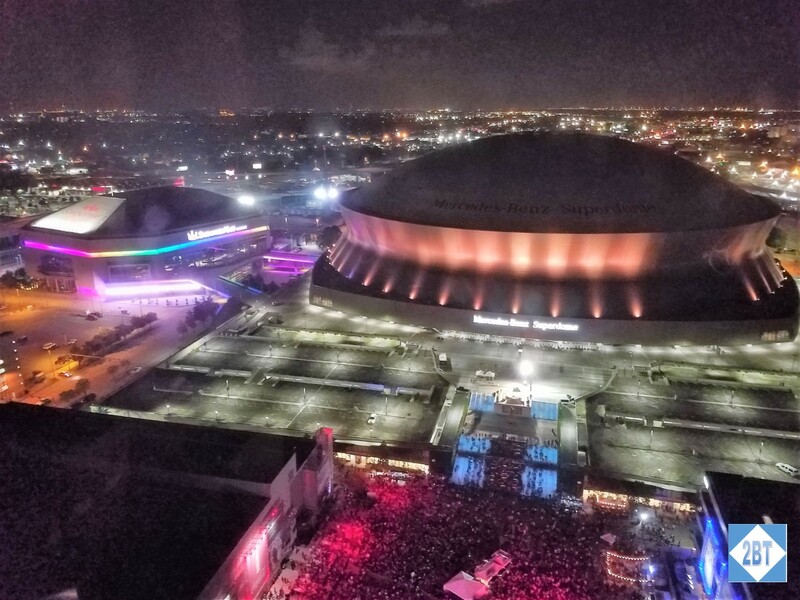 The certificate is an annual benefit for those who hold the Chase Marriott Visa card and is good for exactly six months after the cardholder’s anniversary. 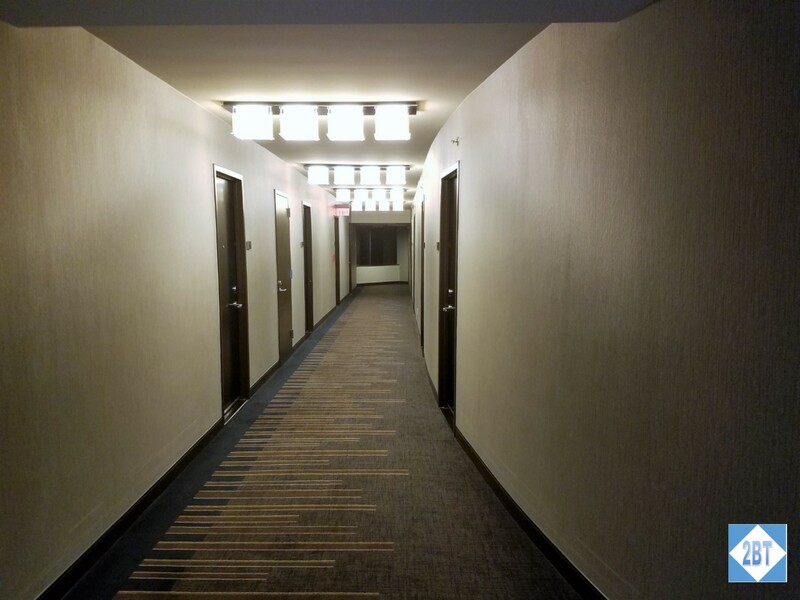 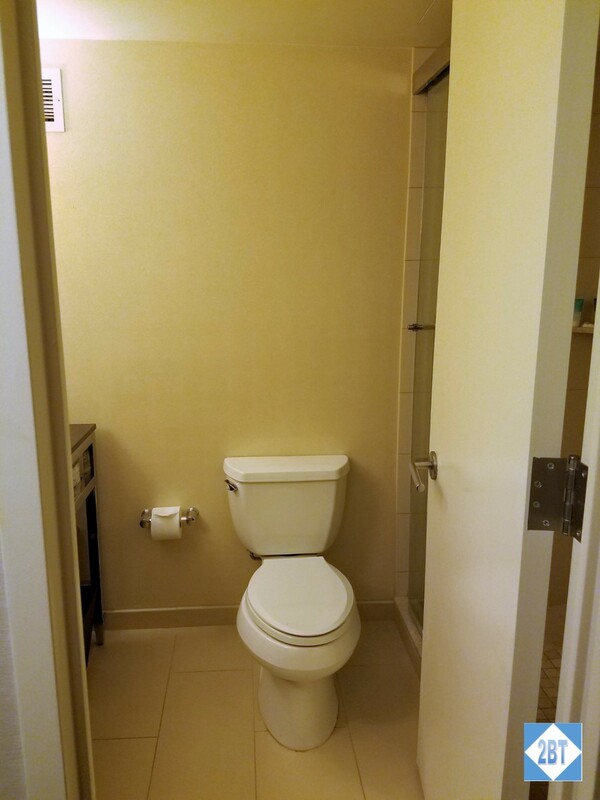 As a Silver member we were given a quiet room at the end of the hallway on the third floor. 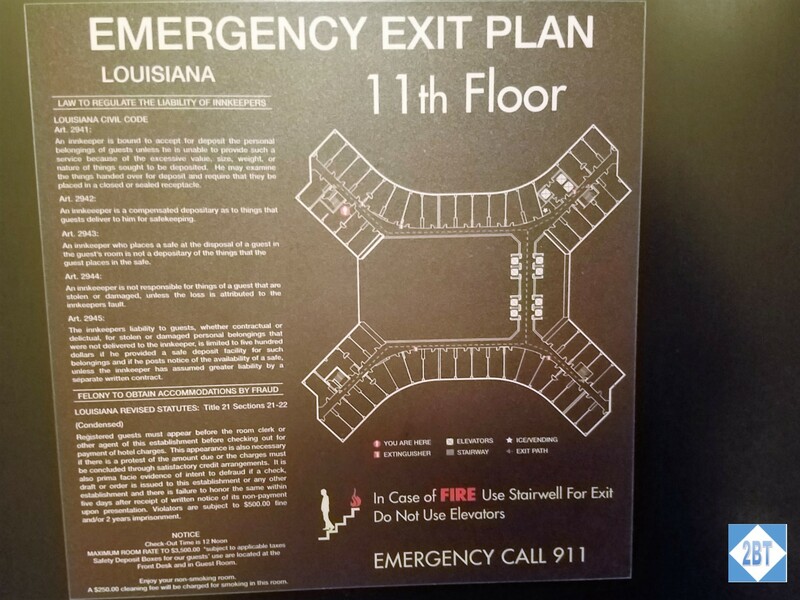 There were two centrally-located elevators for this four-floor property. 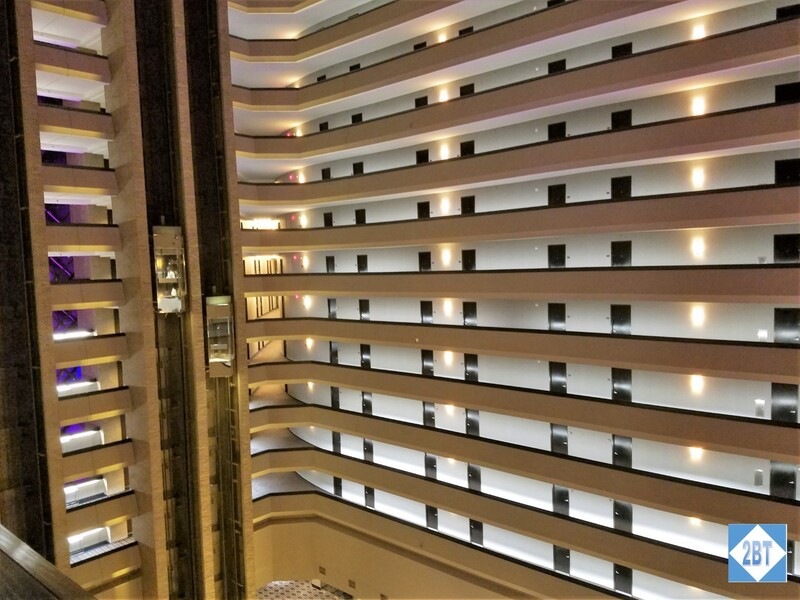 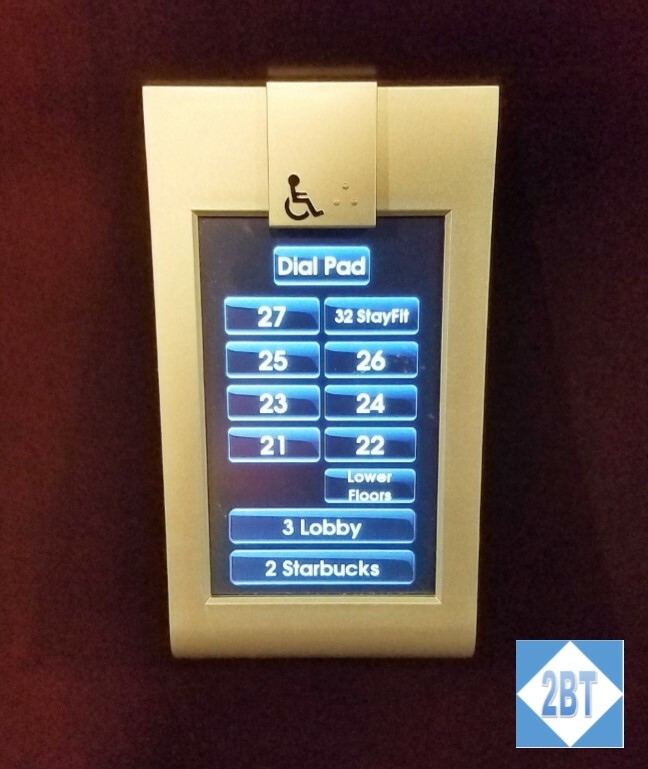 While both elevators were working the day we checked in, only one seemed to be working the next day which meant more of wait than one might expect. 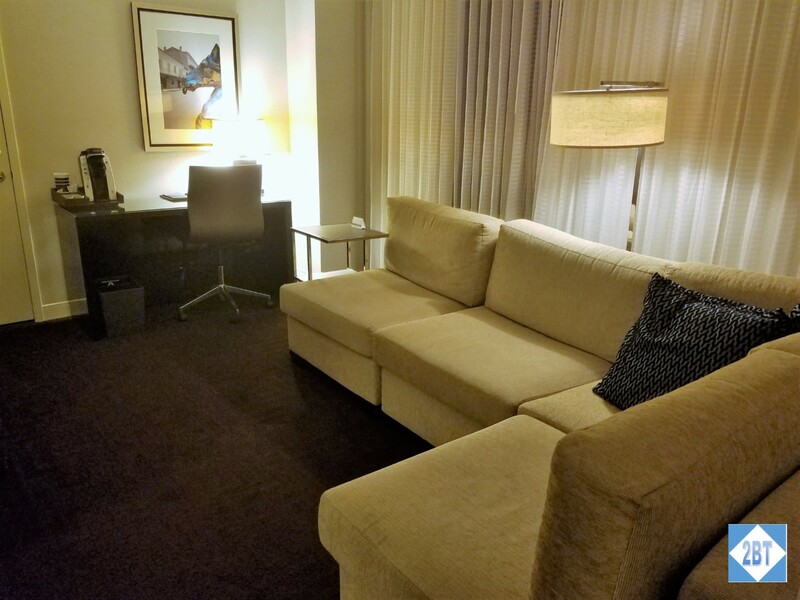 As all the rooms are suites we walked into the “living area” which contained a pull-out sofa and two small tables that could be used as a coffee table or moved to the sides of the sofa as end tables. 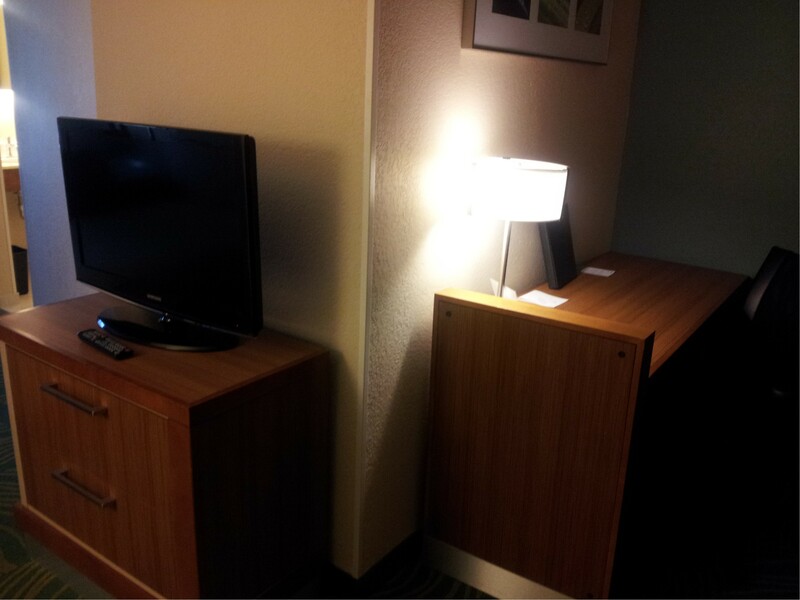 Across from the sofa was an area with a desk and chair on one side and a kitchenette on the other. 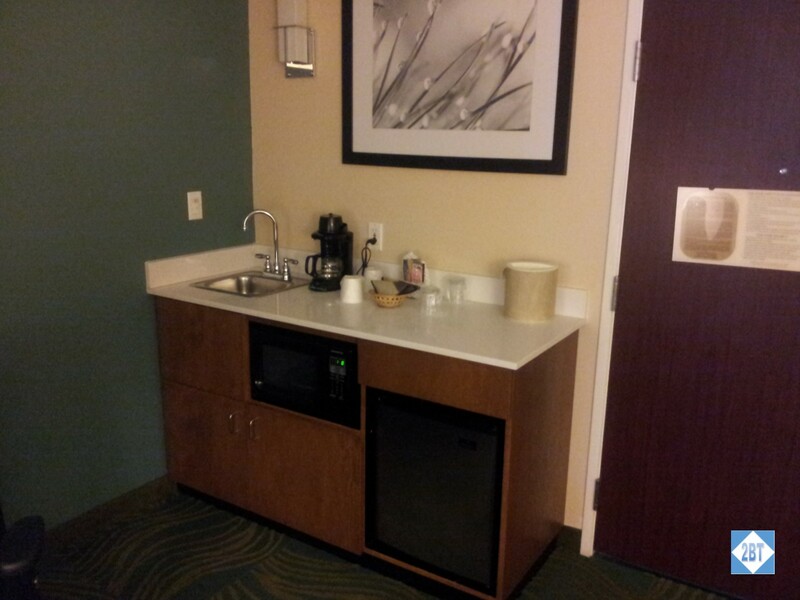 The kitchenette had a built-in microwave and a mini-fridge along with a sink as well as a coffee maker and condiments.